Leadership: In Turbulent Times (2018) examines the lives of four of the most transformational presidents in US history: Abraham Lincoln, Theodore Roosevelt, Franklin Roosevelt and Lyndon Johnson. 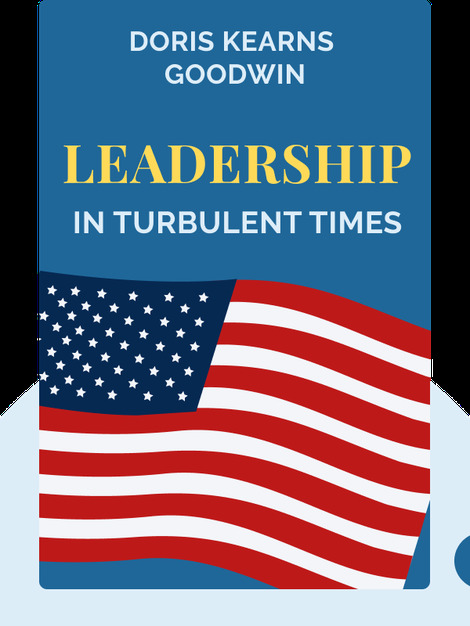 By looking at the similarities and differences between how these men became great leaders, author Doris Kearns Goodwin provides insight into how and why they rose to the occasion at pivotal times in American history. 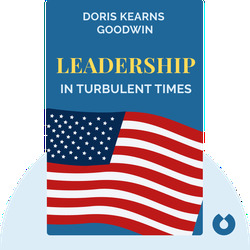 Doris Kearns Goodwin is a presidential historian who worked as a White House Fellow and staff member of Lyndon Johnson’s administration. After he left office, she helped him write his memoirs while teaching at Harvard University for the next ten years. She is the author of the Pulitzer Prize-winning book No Ordinary Time: Franklin and Eleanor Roosevelt: The Home Front in World War II, as well as multiple bestselling books, including Lyndon Johnson and the American Dream; The Bully Pulpit: Theodore Roosevelt, William Howard Taft, and the Golden Age of Journalism; and Team of Rivals: The Political Genius of Abraham Lincoln, which provided source material for Steven Spielberg’s film Lincoln.